Indoor air pollution is a risk you can do something about! 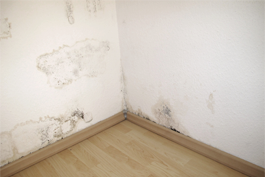 Here at Enviroaire, we have learned that the best way to conduct mold remediation is to fix moisture problems. This will prevent damage to structures and belongings, while keeping you healthy and preventing your mold problem from recurring. Cleaning up during a self-imposed remediation plan can be done, but only with the use of certain precautions such as personal protective equipment. Such precautions can also prevent airborne mold. Call our team to keep your home safe and mold-free today. Schedule an indoor air inspection today. At Enviroaire of Lafayette, Louisiana, our environmental consulting company wants the indoor air quality of your property to always be top-notch. This will ensure the comfort and safety of your family, guests, employees, and customers. We inspect for a number of toxins, including mold, allergens, volatile organic compounds (VOCs), bacteria, viruses, asbestos, and lead. If we determine there is a concern, we use our skills and experience to identify cost-effective solutions to the problem. Striving to provide accurate services in a timely and professional manner, our insured team is certified by the American Indoor Air Quality Council. With more than 25 years of experience in environmental consulting and compliance, our owner established our company 15 years ago to address indoor air quality issues. Thanks to his expertise and dedication, we have helped many families to improve their indoor air quality for better health. Protecting your family and your investment is our primary concern. Enviroaire is your complete source for indoor environmental solutions.